Here is the archive recording of the live winner announcement from Thursday, April 26 at 1:00 p.m. where we announced who will Soon to be Famous. Our librarian judges continue to review the books from our three finalists. We will make the winner announcement April 26 at 1:00 p.m. at Fountaindale Public Library. 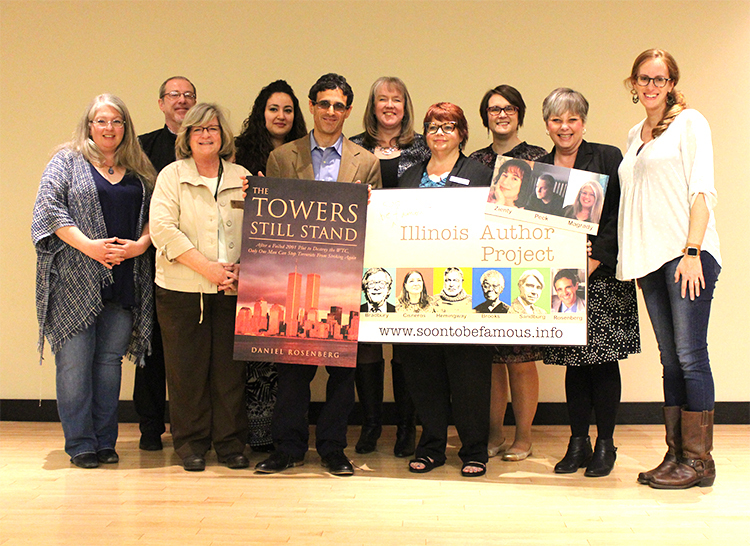 This year 46 Illinois authors submitted their works of fiction for adult readers to the 2018 Soon To Be Famous Illinois Author contest. we are excited to announce the semi-finalists for the 2018 contest. 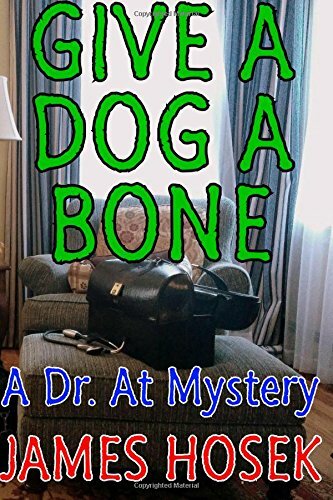 What happens to authors who enter the Soon to be Famous Illinois Author Project? Well, obviously, there’s a winner, but what about the runners up? 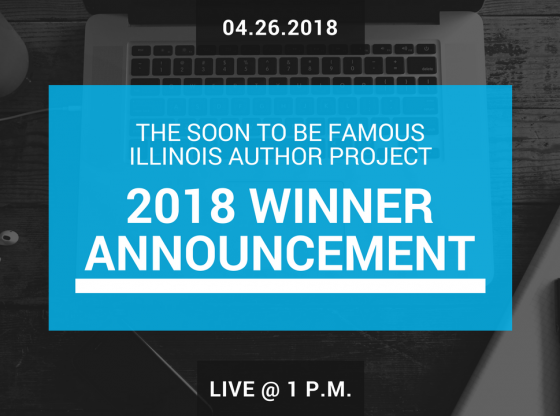 To celebrate the launch of the 2018 contest, enjoy this highlights video from the 2017 Soon to Be Famous Illinois Author Project winner announcement ceremony. The Daily Herald gives details on this year’s contest, including the three finalists, and the big announcement event on April 12 at the Gail Borden Public Library in Elgin, IL. Meet the Three 2017 Soon To Be Famous Illinois Author Finalists! 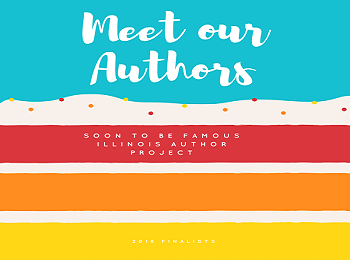 The judges gave our 20 semi-finalists a careful reading, we tallied up their scores, and we are proud and excited to announce the 2017 finalists in the Soon To Be Famous Illinois Author Project! Meet the 2017 Soon To Be Famous Illinois Author Semi-Finalists! Our librarian judges have carefully read all the submissions, and after much deliberation, we are proud to announce the first round of semi-finalists for the 2017 contest.